Selkirk Biz is excited to present our 1st Annual Catfish Den! You’ve seen the show Dragon’s Den and know how it works. Here is the opportunity to get your name or product out there!! Thursday April 11, 2019 @ the John Vadeboncoeur Theatre, Selkirk MB, 6:00 – 9:00pm. Are you a Home Based or Store Front Business looking for capital injection? Are you a Home Based or Store Front Business looking to get your name and products known in the community? Are you an organization that is also looking for funds for an upcoming project? All applicants must apply on or before Friday March 22, 2019. Application cost is $30 (non-refundable) and must be provided at the time of your application submission. Business Plan must also be created and be provided at the time of submission. 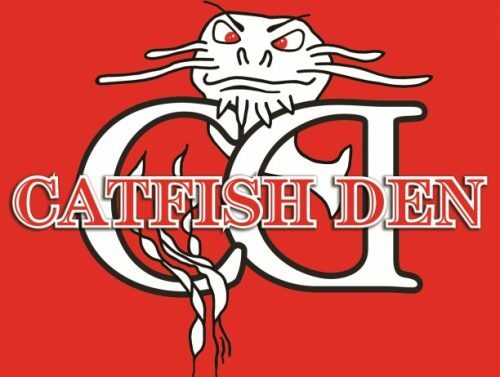 The Catfish Den Committee will decide which participants will present their ideas to the Cool Cats at the event. The Cool Cats are made up of local Business leaders and Financial Institution leaders, which have the ability to work alongside your business and help it grow. As a participant, this is a great opportunity to network, gain new cliental and obtain the advice and tools necessary to help your business be successful. The Cool Cats each will invest $500 and has the potential to provide the participants with other services that will help their business grow/start. Each presenter will be provided up to 5 minutes to pitch their plan to The Cool Cats and to the spectators. After the pitch, The Cool Cats will be provided the opportunity to ask questions. Once all of the participants had a chance to pitch their ideas, The Cool Cats will decide how/to whom they would like to disperse their money. By the end of the event, 100% of the Cool Cats money will be awarded. The spectators also get to vote for their favorite pitchers. Half of total admission fee and local business sponsorship money, will also be awarded to the participants (50% to crowd favorite, 30% to 2nd place, 20% to 3rd place). The other half will be used in the same fashion by the audience to determine the top 3 school projects for the Battle of the Schools. There is no guarantee each presenter will get a deal, but all the money will be awarded that night. Who is eligible to be an applicant? The applicants themselves do not need to be residents of the following communities: The City of Selkirk, RM of St. Clements, RM of St. Andrews and RM of West St. Paul. However, your business must currently operate in anyone of these communities or open within the next 12 months. Prize winners must begin operations before receiving funds (held in trust until business opens if not already open). Applicants and sponsors agree to have their names and pictures in The Selkirk Record before and after the event. Spectator tickets will be available at the school starting in September. You may also pick up an application form at the RBC Royal Bank located in Selkirk Manitoba.